Sized for two people and a load of gear, it works great for duck hunting shallow backwater marshes or float fishing rocky rivers. Super stable, the Backwater is a blast when coupled with the right sized motor. We recommend a small outboard in the 2-3hp range, or a trolling motor with at least 55lbs. of thrust to unlock this boats true potential. To off set the weight of the motor, place the battery or gas tank as far forward as possible. Actual colors may vary due to display differences. May not be the Backwater. Shown with optional black aluminum trim. 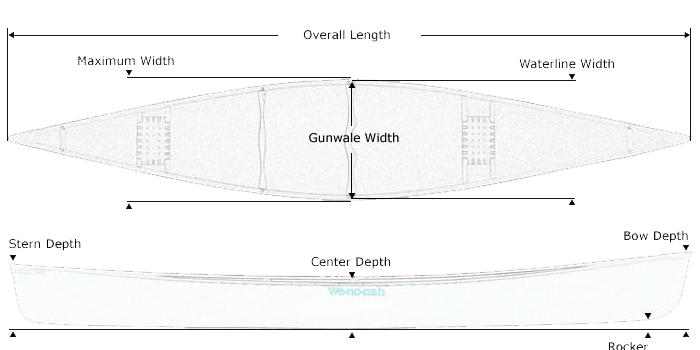 Tuf-weave® Flex-core canoe shown with Standard Options, may not be the Backwater. 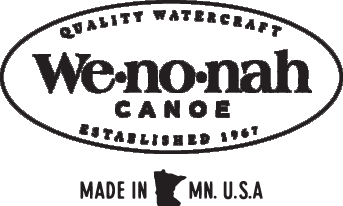 Kevlar® Flex-core canoe shown with Standard Options, may not be the Backwater. Kevlar® Ultra-light canoe shown with Standard Options, may not be the Backwater.